Periodic Symbol Periodic Table What is Cesium as on the Periodic Table? A soft, silvery-white ductile metal, liquid at room temperature, the most electropositive and alkaline of the elements, used in photoelectric cells and to catalyze hydrogenation of some organic compounds. Cesium reacts explosively with cold water, and reacts with ice at temperatures above -116°C. Tiny quantities of cesium chloride are found in mineral springs and in seawater. The Atomic Number of this element is 55 and the Element Symbol is Cs. The word Caesium originates from the Latin word 'caesius' which means "sky blue" from the bright blue lines in its spectrum. Elements can be classified based on their physical states (States of Matter) e.g. gas, solid or liquid. This element is a solid. Cesium is classified as an "Alkali Metal" and located in Group 1 elements of the Periodic Table. An Element classified as an Alkali Metal is a very reactive metal that does not occur freely in nature. Alkali metals are soft, malleable, ductile, and are good conductors of heat and electricity. Nearly 75% of all the elements in the Periodic Table are classified as metals which are detailed in the List of Metals. Cesium is found in the mineral pollux, or pollucite, which occurs on the island of Elba, in South Africa, in the United States in Maine and South Dakota, and in Manitoba, Canada. Interesting information on the Medical Uses of Cesium, Health and Treatments. Radium salts have been used as radiation sources in the treatment of cancer but are gradually being replaced in such therapy by cobalt and cesium. Cesium was discovered by Fustov Kirchoff and Robert Bunsen in 1860 from mineral water found in Dürkheim, Germany. It was the first element discovered by spectrum analysis. 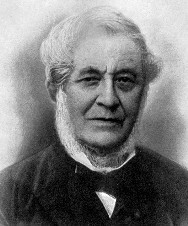 Robert Wilhelm Bunsen (1811-1899) invented many lecture-room and laboratory appliances, most famously the Bunsen burner. He also invented the spectroscope and with it discovered rubidium and caesium; greatly perfected methods of electrolysis, inventing a new battery; made many investigations among metallic and organic substances. Check out Cesium on the Periodic Table which arranges each chemical element according to its atomic number, as based on the Periodic Law, so that chemical elements with similar properties are in the same column. Our Periodic Table is simple to use - just click on the symbol for Cesium as on the Periodic Table for additional information and for an instant comparison of the Atomic Weight, Melting Point, Boiling Point and Mass - G/cc with any other element. An invaluable source of facts and information as a Chemistry reference guide. The Standardised Periodic Table in use today was agreed by the International Union of Pure Applied Chemistry, IUPAC, in 1985 and now recognises more periods and elements than Dimitri Mendeleev knew in his day in his day but still all fitting into his concept of the "Periodic Table" in which Cesium is just one element that can be found. These articles contain facts and information relating to Cesium and each of the other elements including the Periodic Symbol, group, classification, properties and atomic number which is often referred to as the Periodic Table Number. Test your knowledge of chemistry and the Periodic Table by completing the Element Symbols and Atomic Numbers on our Blank Periodic Table. Chemistry students will also find a helpful section on Chemical Formulas.